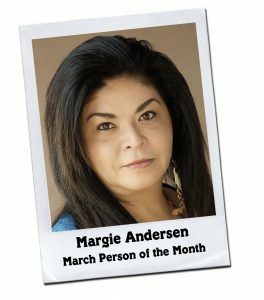 Margie Andersen (Dine Navajo/Yoeme Yaqui/Apache/Native Hawaiian) is a Medicine Wheel 12-Steps Facilitator who has provided tremendous support to the San Diego Indian Health Center and surrounding areas. She is also a certified traditional tobacco educator, registered CCAPP substance abuse counselor and certified recovery coach. Margie has been one of the leading champions in coordinating annual White Bison trainings and has inspired many to join the grassroots Wellbriety Movement. She has helped others become Wellbriety Firestarters and implemented several Wellbriety groups in Southern California. Margie is a person in long-term Recovery and celebrates sobriety at a community level. 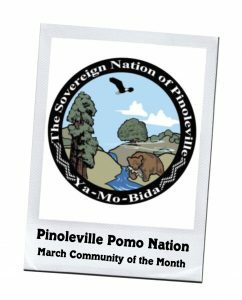 Pinoleville Pomo Nation is a self-governed nation that has actively been engaging, supporting, and implementing Wellbriety programs in the Ukiah, California community. This community began a Pomo Youth College and Career Success Project, in response to a 2015 survey that indicated substance abuse as the top barrier for college and career success by both Native American students and parents. This project helped train more than 100 facilitators in Sons of Tradition, Daughters of Tradition and Meding Broken Hearts and brought a Wellbriety healing circle that services the community’s youth. This community also began the Pinoleville Pomo Nation Healing Native Youth Minds Project to serve Native American youth (ages 8-24) in their community. This project helped reduce risk factors for methamphetamine usage & suicide behavior by promoting early intervention strategies and implementing positive youth development programing. The Wellbriety opportunities provided through this project include: Youth Talking Circles, Youth and Family Cultural Camp Outs, School Prevention Activities, a Youth Basketball League, Workshops/Trainings, Gatherings/Events, and Ceremonies. In addition, Pinoleville Pomo Nation also has an Education, Environmental, HeadStart, Vocational Rehabilitation, Housing, Social Services and Self Governance Department and resources available to support the Ukiah, California community.